ZULU style flying suit 3 Layer. Typically, this suit is perfect for use in paramotoring or open cockpit microlights at altitudes of up to 5000 feet. 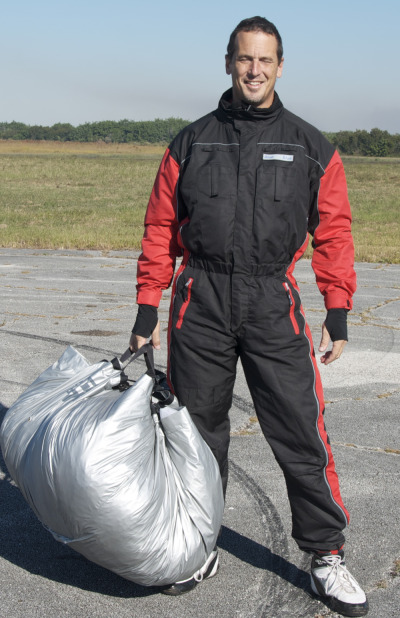 Many glider pilots and other leisure aviation pilots also find this weight suit to be ideal. 2) The middle layer is THINSULATE (TM) made by 3M. 3) The suit lining is a breathable material called BOSKY � and has good moisture wicking properties. It is dyed using only azo free materials in the production process and has improved wear properties.